The "Old Testament" of the Christian Bible is the Jewish Tanakh, and the "New Testament" is built on these Jewish scriptures. Why do some Christians dislike and ignore the Old Testament ? Jesus is a Jew. He was born, lived and died as a Jew. He was born King of the Jews and died King of the Jews. How can some Christians say, "I don't like Jews" ? Jesus taught as a Jewish Rabbi. Why do many try and understand his teaching using Greek philosophy? We are familiar with the Christian holidays. Why don't we understand the Jewish feasts and holy days that Jesus celebrated ? God promised the patriarchs of Israel, "He who blesses you, I will bless and he who curses you, I will curse." Why do so few Christians support Israel and the Jews in informed prayer ? How can Christians side with those seeking to destroy Israel and seize Jerusalem? Jesus spoke about what must happen before he returns, and it concerns Israel. How can we understand the signs of the times events come closer together? In these pages we look at what went wrong, the good things we are missing, the way things should be, and how Israel and the Jews are key to world events as they unfold, in these end-times. This website explores the relationship between Christianity and Judaism (the Jewish faith), including Messianic Judaism. It explains the Jewish roots of Christianity, and the continuity of revelation and worship through Jewish and into Christian scriptures. It looks forward, with the Jews, to the coming of their Messiah and ours. It is possible to span the gulf that opened over the centuries by realizing where we stand. 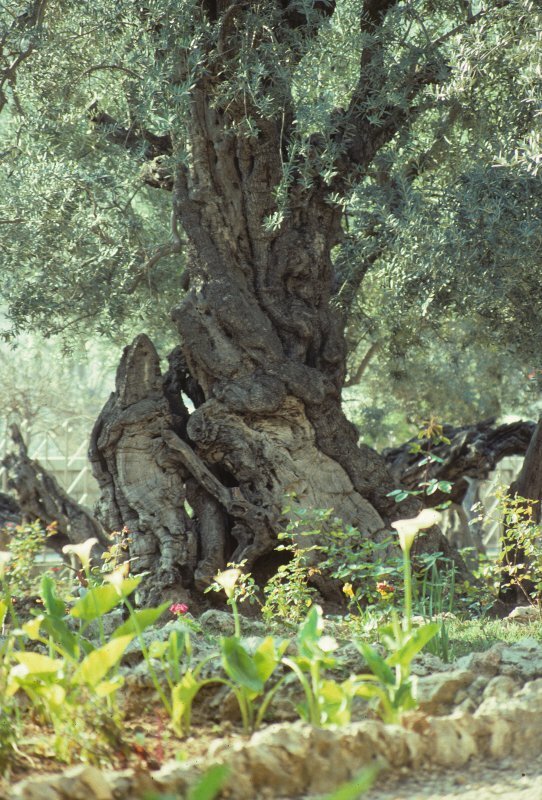 The apostle Paul likened non Jewish Christians to wild olive branches grafted into the cultivated olive tree of Israel. Since this is the basis of our acceptance by the God of Israel, wildolive explores the implications of this relationship. An understanding of Hebrew and Jewish culture, tradition, faith and worship can add so much to even familiar Bible stories and celebrations. This was nearly all lost due to replacement theology so we look at all the Jewish Feasts and their relevance and importance for the Christian. We want to see how much can be recovered, and how we Christians can draw nourishment from our Jewish roots. The unfolding of God's purposes in World History centres around Israel, Jerusalem and the Jews. The Christian can not afford to ignorantly follow the prevailing world-view of events in the "Middle East" and side with those who oppose God's purposes and the people He chose to bring salvation to the world. We need to understand and act upon "the signs of the times" revealed in Israel, so we look at the politics and media coverage of Israel and the forces ranged against her. We seek to draw practical conclusions for ways the Christian can be in God's will concerning these matters, and to point the way to the many resources which are available for those who seek to draw from their roots in God's olive tree. Awareness of the importance of Israel is not the only thing that much of the church has lost. Healing is an important part of the Gospel that few Christians believe in, having become more sophisticated and educated in the world's wisdom. See also Unbelief. Please go to Using Wildolive if you are a first time visitor. It explains how to navigate the site and the aims of the site. Click on the top page banner of any page to return to this (Home) page. or go to the navigation system pages to "find Stuff"
Or - Click the top banner of any page to return to this Home Page and choose from the drop down menus.